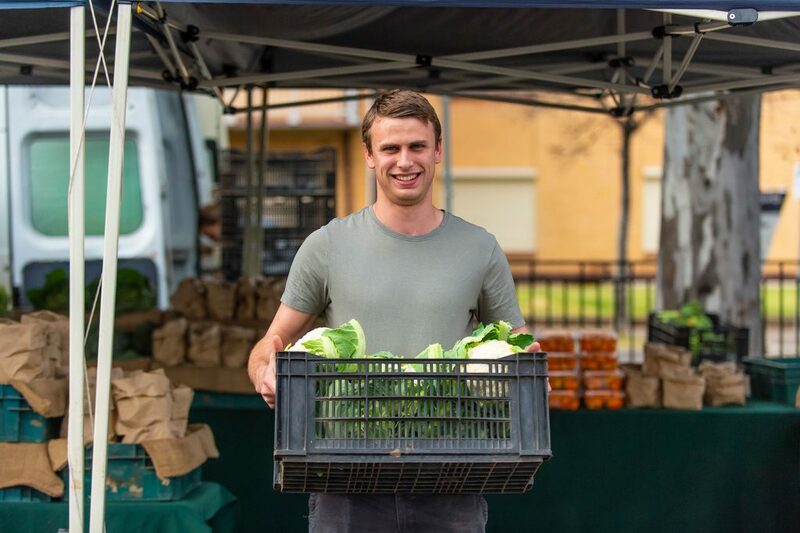 The Adelaide Showground Farmers’ Market is a place for farmers and producers to sell their food direct to the local community. We’re always looking for more South Australian producers to feed the demand for regional, fresh food, and we have a particular interest in free-range, organic and sustainable products. How can I become a farmer’s market stallholder? Check that you meet the Stallholder Criteria. Take a look at the Stallholder Application Process. You’re also welcome to contact us if you need any more information or help. We are the largest farmers’ market in South Australia. Our market provides local farmers and food producers the opportunity to sell fresh, seasonal produce and other food and farm products direct to consumers. Our market attracts around 6,000 shoppers every Sunday. Many shoppers are regular customers, with around 2,500 people signing up each year to become a Market Member. You can join the market to trade on a weekly, fortnightly, seasonal or casual basis (some restrictions apply). Our farmers’ market supports small family farms, agricultural diversity and the production of fresh, regional and seasonal produce. We are a farmers' market, therefore we don't have arts and crafts stalls. To be eligible to trade at the market, you must be the person who has grown, reared, caught, harvested, made or produced the food or produce that you sell. And, most importantly, it must be produced here in South Australia from South Australian produce.